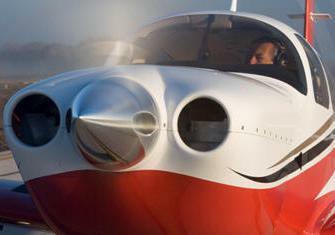 October 15, 2013 - After a five year hiatus from manufacturing single engine airplanes, Mooney has announced that it will restart manufacturing at the beginning of January 2014 at its headquarters in Kerrville, Texas. Over the past several years Mooney has faced bankruptcy and has changed ownership a number of times. New funding from Soaring America Corporation, a California based Company will provide necessary capital to re-launch and sustain the legendary brand. Details of the financial arrangements are being held confidential. The company will continue to manufacture the Acclaim Type S, and the Ovation series. It was announced on October 8, 2013 that Mooney Aviation Company formerly the Mooney Aircraft Company had been purchased by Meijing Group a Chinese real estate developer for an undisclosed amount. It is unclear the relationship between Soaring America Corporation and the Meijing Group. "It's a new day for Mooney. And with a new investment group that is committed to the future, we're expecting to make a strong move in the industry," noted Barry Hodkin, Chief Financial Officer for the company. "It's been a long time coming and we couldn't be more excited about our return to manufacturing one of the finest and most trusted airplane fleets in the industry." "While we expect to be reunited with some of our previous employees, we are confident we'll attract new talent as we re-enter this aviation space. We're looking for the best and brightest people to help meet our vision for the future," said Hodkin. The Acclaim Type S is recognized as the world's fastest single engine airplane. The turbo- normalized airplane is home to over 130 speed records with a normal cruise speed of 230 ktas and a service ceiling of 25,000 feet. The Ovation series has cruising speeds up to 190 ktas and a service ceiling of up to 20,000 feet. "It's too early to provide the details, but we'll have some very exciting announcements in the near future about the technological advances that will accompany the Acclaim Type S and Ovation series," said Hodkin.